Coral reef fish take note of what others are eating, a behavior that can affect sensitive reef environments. Scientists from the University of California-Davis and Princeton studied fish grazing around coral reefs in French Polynesia and found that fish decide to feed on algae if they see lots of other fish in the same place. But if there aren't any other fish nearby, they take it as a sign that predators are close and avoid that section of the reef. 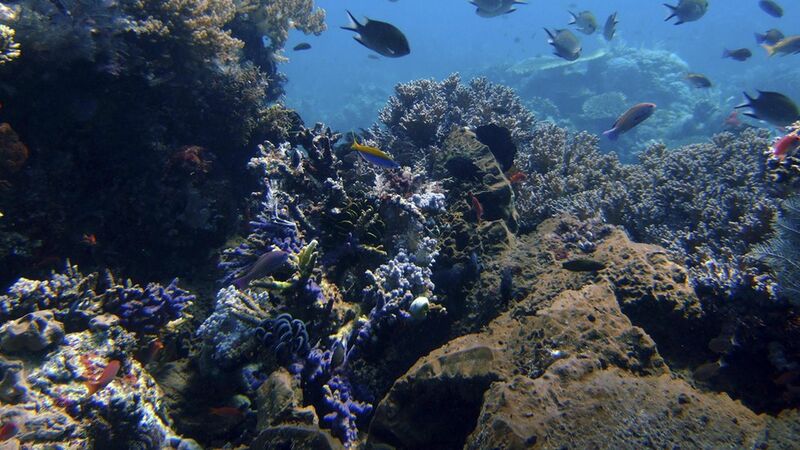 Why it matters: Fish keep the growth of algae, which can harm coral reefs, in check. Overfishing threatens that balance not just because there are simply less fish consuming algae but because fish interpret the presence of fewer fish as a risk when there may not be one. The researchers suggest the newly-revealed link between the social interactions of fish and how food and energy flow through the reef should inform how these sensitive environments, distressed by climate change, are managed.